Jazz Gumbo is a delicious mix of various elements producing a unique music presentation at Seville Quarter in historic downtown Pensacola Florida. Live jazz music is featured in a variety of styles with groups or bands chosen from around the Emerald Coast area. Doors open at 5:30 p.m. and music happens from 6:30 till around 8:30. Door prizes are given away via drawing of admission tickets, and attendees can purchase 50/50 tickets for another drawing where the winner gets half and JSOP gets the other half as a benefit to the Society's music program. One may order from the menu and cash bar is also available. The music is great and there is plenty of time to visit and meet old and new jazz friends. Guests are welcome. Those joining the Society get free admission to their first Jazz Gumbo. The monthly Jazz Gumbos is a great event for music and good times with good friends. 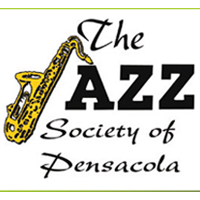 Cost of admission is $10 for Jazz Society of Pensacola members, $15 for nonmembers, $5 for students with ID and free for military people in uniform. Admission includes a cup of seafood gumbo.